Goodness me Gerrina, where do I start on this bunper packed post, each one is a delight and showcases our unique style, I probably have two favourites, the wonderful textures on the first and the lovely sunny colours of the purple and orange one. 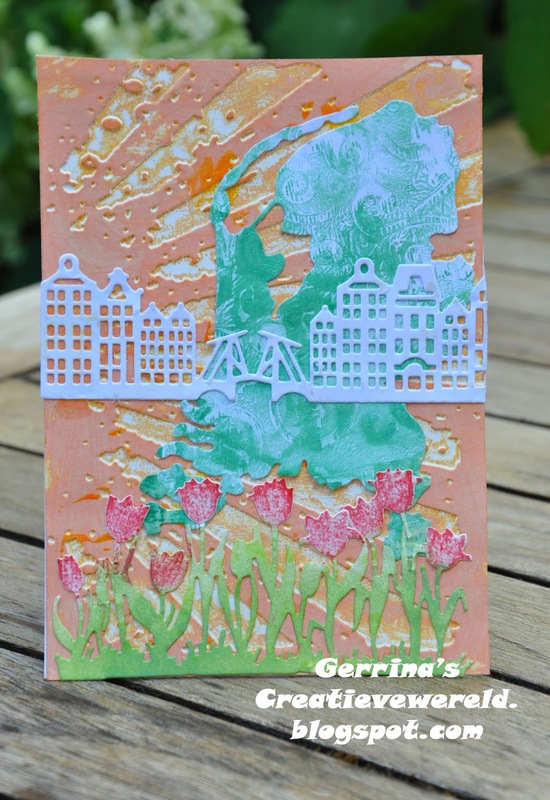 WOW what a fabulous collection of cards Gerrina! Thanks so much for joining us at The Sisterhood’s ‘Summer Vacation’ challenge and please come back again soon! A pretty arrangement of summer blooms Gerrina. Beautiful! 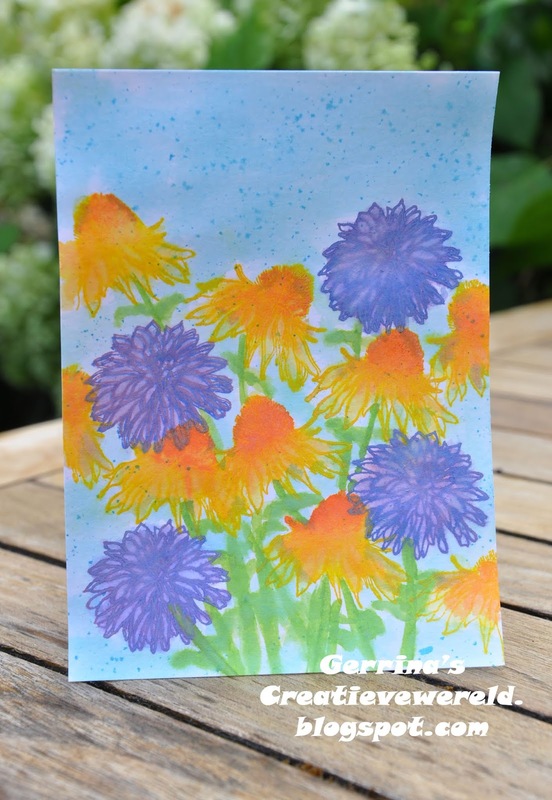 Summer cards are the most fun to make, aren't they? Thank you so much for playing in my Summer Vacation challenge at the Sisterhood of Crafters. We hope you will come join us again soon. Wat ben jij productief zeg, met dat warme weer! Gelukkig is het inderdaad alweer wat afgekoeld. 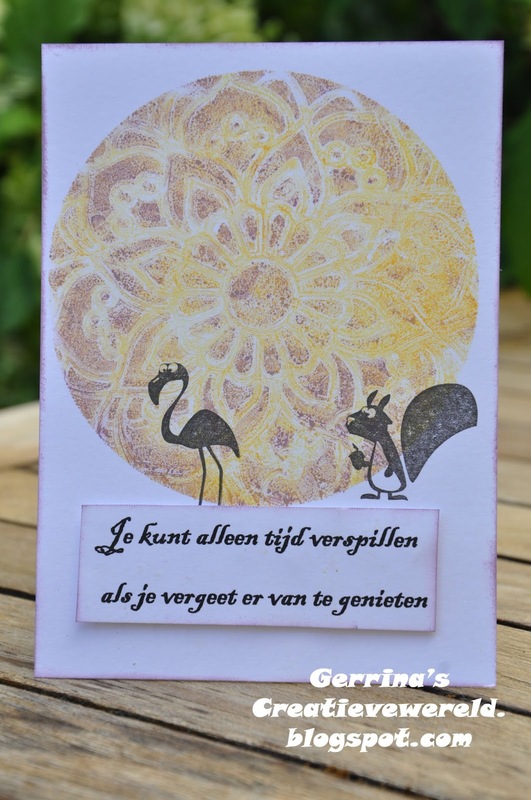 De thema's zijn soms echt best lastig, vooral bij Barbapapa zou ik het echt heel zwaar hebben maar wel gaaf hoor deze creatieve uitspattingen!! You have been busy! Love the floral one layer c are Gerrina! 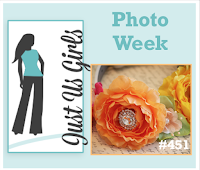 We so appreciate you being with us this week at Just Us Girls for Photo Week! Wow Gerrina, zelfs met dit warme weer blijf jij productief. Ik sta ervan versteld waar je de inspiratie blijft halen. Stuk voor stuk prachtige kaarten (ook die van je vorige posten). Nou ondanks de hitte kwamen eruit jouw klamme handjes toch hele gave creaties, succes met de eindstreep! What a great group of cards. I love the backgrounds you've created. You have added so much texture and colors. 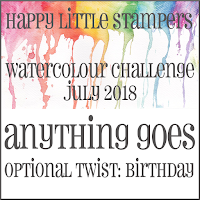 Thank you so much for joining us at Simon Says Stamp Wednesday's Anything Goes Challenge. Good Luck! 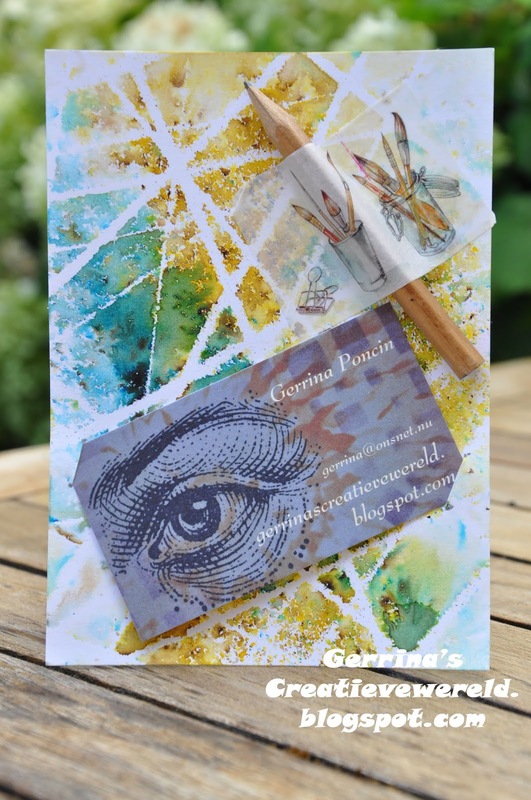 Gerrina, once again I'm dazzled by your array of cards, each one so wonderfully creative. I'm especially taken with your pretty garden of flowers; bright and beautiful! Thank you for sharing it in the Just Us Girls gallery!